“When Trump says he is “like, really smart.” he might mean a TV version of a smart person. Specifically someone who uses his “smarts” to win. The type of smarts Trump used to win isn’t your standard IQ smart. Trump can look at the big picture and say, “The Apprentice ratings didn’t lie. I was a hit. The Electoral College numbers didn’t lie. I’m the President.” Both of those statements are true. Trump can ask “Would a dumb person be able to do that?” The answer should be no. Not unless a lot of people helped and we expand our definition of smarts. What types of smarts made his win happen? He credits only himself, but we know there were others who helped. Whose “smarts” got him there? In America, if you successfully create money with your smarts your opinion is valued more. But even if you got your money the old-fashioned way, by stealing or inheriting it, money can be used to get people who are smart in other areas to help you win. One big focus of the rich has been on hiring politicians to change the laws so they keep the money and make more of it. The ROI on politicians is huge. The current situation shows that financially successful people like the Mercers and Kochs have used their money to buy various kind of “smart” people. They have then used “like, a smart person” to achieve their strategic goals. Lower taxes and no regulation. 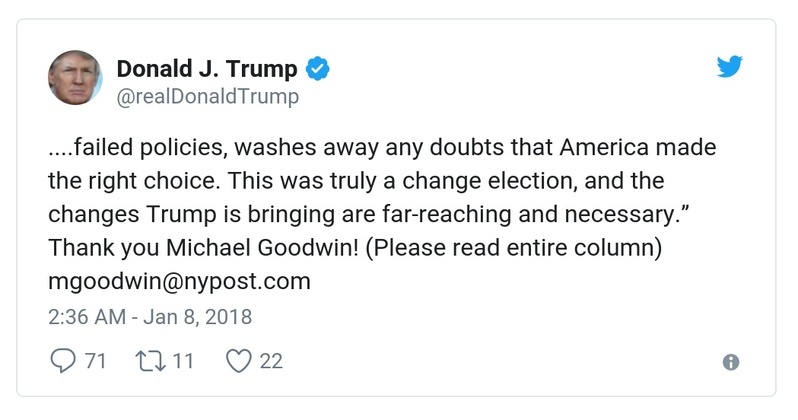 Trump has since deleted his Tweet because he incorrectly quoted Goodwin’s column tweeting “enormously consensual presidency” instead of “enormously consequential presidency” but I think it is important to note who was the really smart person in this story: Rupert Murdoch, the owner of the money losing New York Post. I quoted that tweet and added this fun fact. In the corporate world making money is one of the major measures of success. So if you are running the country “like a business” you can grow your bottom line by cutting costs or benefits to workers. You can cut costs by firing workers. With a country there are other goals than just the bottom line. In the dot com days people spent millions for “eyeballs” They didn’t care about profitability. They planned to go public or sell to a bigger company. It wasn’t their goal to be profitable as long as they had a “liquidity” event on the horizon they were happy. If making money was the only metric, a lot of companies were NOT successful. Murdoch has a strategy with the New York Post. In order to achieve his goals in other areas he is fine with the @nypost LOSING over 110 million dollars every single year. That’s a long-term strategy that has paid off for him. He can strategically, and continually, lose money if he–as the major shareholder– thinks it is necessary. One of the things that I’ve found is that people often defer to financially successful people on what actions to take. (I saw this mostly in the VC world, but in other areas too.) The problem that I’ve seen is that someone’s smarts in one area doesn’t always apply to other areas. Just because someone made millions manipulating financial markets doesn’t mean they know jack squat about marketing political ideas to the public. Building our side is important. It’s great to be part of that. I love to do that. It makes me feel good to see others succeed. But tearing down their side is also important. When we look to defeat the right, we need to understand what has worked for the right. That does not mean we have to do the exact same things they do. But we should acknowledge that different kinds of smarts can help us. It also means we need to apply multiple strategies, smarts and tactics to multiple areas. That includes offensive strategies directed toward our enemies. I’m seeing a lot of blocking, but not much tackling. What are the tactics that will cost our enemies money? What are the tactics that will cost our enemies their jobs? Who can I help with their fight? How can I help them? Where is my help needed most? 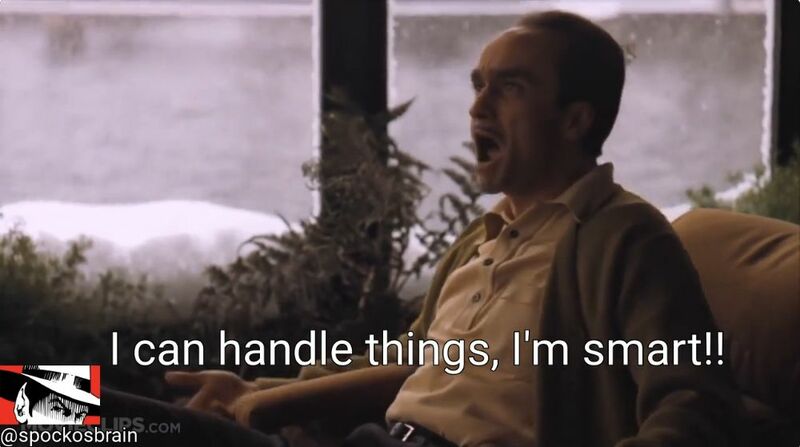 What unique smarts can I bring to the table? I say fight the other side. It’s what really smart people do.